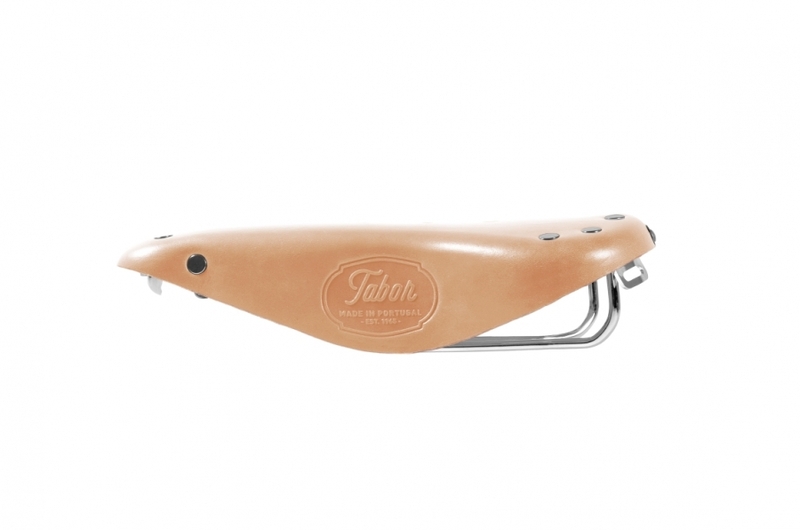 The leather city bike saddle from Tabor is a beautiful hand made saddle. Its elongated shape, slim silhouette and delicate profile make it perfect to awake the ultimate urban racer in you. The saddle is also featured on the Speed ONE single-speed bike. The Tabor leather city bike saddle features a standard 50mm width rail system, compatible with most modern seatpost, keeping its classical "look" and feel. With a seat base of 145 mm it's the perfect fit for city, urban, race, single-speeds or foldable bicycles.